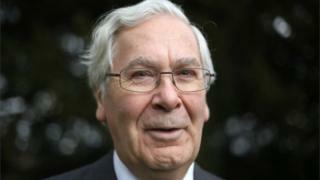 The UK needs a "credible fallback" in case no EU trade deal is reached during Brexit negotiations, former Bank of England governor Mervyn King has said. The former governor, who served between 2003 and 2013, said no deal was "not the first preference of anybody". He said the government "probably wasted a year" on its contingency plans. The first round of Brexit negotiations at the European Commission ended in July. Brexit Secretary David Davis said Brussels might delay trade talks due to a lack of progress on the cost of the UK's "divorce" settlement. Speaking to BBC Radio 4's Today programme, Lord King said: "We are where we are, and we are in a negotiation and it's important that the negotiation succeeds. "But it cannot succeed without a credible fallback position and that is something which I think is a practical thing that the civil service ought to be taking a lead on." Previously Prime Minister Theresa May has said: "No deal is better than a bad deal." Mervyn King described the coverage of the Brexit debate both before the vote and since as "hysterical". When asked his own view of the economic impact of leaving the EU, he said: "I don't know - that's the only honest answer." One thing he is sure about is that as the UK approaches the Brexit negotiations, we must be prepared to walk away otherwise our position lacks credibility. By walking away he means falling back on a trade relationship governed by the rules of the World Trade Organisation. "If you are going to have any success in this negotiation you need to have a fallback position that the other side understands and thinks is credible," he said. "It is not first choice but we have to have an option otherwise the other side won't listen. This ought to be something people can agree on irrespective of whether they voted for Brexit or not." 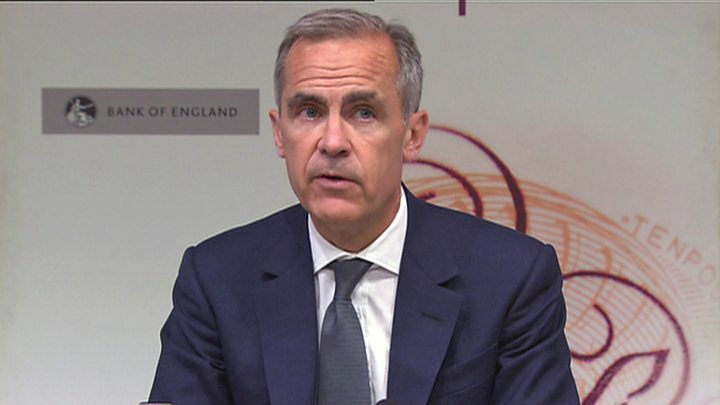 On Thursday current governor of the Bank of England Mark Carney announced that uncertainty over Brexit was reducing growth in the British economy. As a result the bank lowered this year's growth forecast from 1.9% to 1.7%. Mr Carney said: "Uncertainties about the [UK's] eventual relationship [with Europe] are weighing on the decisions of some businesses." Lord King said: "I don't know what the economic consequences of Brexit will be, that's the only honest answer." Previously, Brexit minister Steve Baker said the government was preparing for all possible outcomes over Brexit talks, but added a no-deal with Brussels was unlikely.